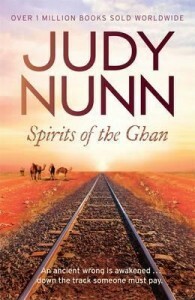 Well I just finished Spirits of the Ghan by Judy Nunn; due out the end of October 2015. I was lucky enough received access to a pre-publication ebook via Netgalley in exchange for an honest review. And I absolutely love it! Spirits of the Ghan is the first book I have read by Judy and it definitely won’t be my last. I know it sounds cliché but from the very first page I was hooked. I wanted to keep reading and that didn’t change throughout the whole book. Spirits of the Ghan has everything a great read needs; an intriguing storyline, interesting characters, history, culture, friendship, family, heartbreak and a little romance. I loved the fact that throughout the book it was told from the points of view of different characters. This allowed me to get to know and love each character and become engrossed in their story. I was enjoying the book so much and was worried the end half of the book would let me down; but it didn’t. I thoroughly enjoyed the story right to the very end and couldn’t have asked for a better way for the book to be wrapped up. Two days after I finished the book I find myself still thinking about it. 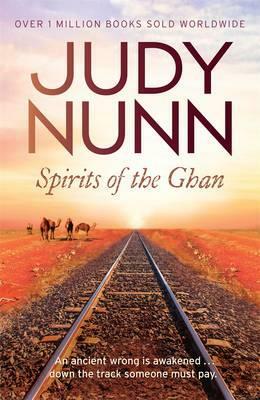 This entry was posted in Australian Authors, Author Visits, Fiction and tagged Judy Nunn, Parramatta Library, Random House, Spirits of the Ghan, Staff picks by admin. Bookmark the permalink.